Merry Lewis Christmas #7 - BODIE 3.7 . you'll never walk alone ! I love the colour/black&white contrast in the image, and the way his face is lit, those highlights and shadows on that beautiful skin. Oh another beauty! Look at that angelic face! Merry pensive Lewis Christmas! 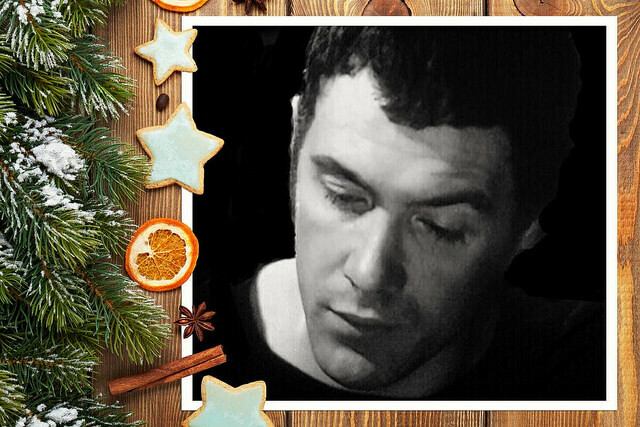 A young Bodie, who hasn't yet met Doyle... *g* Thank you! I love the way he looked in this role - lean features and high cheekbones - such an attractive man.